When conducting business outside the United States, it may be required or beneficial to select a qualified interpreter for meetings and/or networking opportunities. 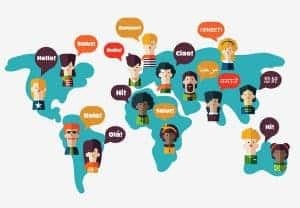 Many times, business meetings involve several parties from a number of different countries, and in these instances, there is a strong likelihood that not everyone will be able to fully understand English. This situation not only arises in remote parts of the world, but also in more well-developed countries as well. Interpreters can bring clarification when little-known idioms are used in the conversation, which could completely derail negotiations, causing the loss of contracts and possibly damaging long-standing business relationships. Additionally, by selecting and retaining a qualified interpreter, your potential business partners will respect and appreciate the extra effort that was taken in order to ensure clear communication. The first thing to consider is the type of interpreter that is required. Selecting an interpreter based solely on the language could present several challenges. Instead, consider hiring interpreters who have specialties, such as interpreting in the pharmaceutical industry, intellectual property disputes, etc. Also, remember that there are different dialects within certain languages, so you want to ensure that the interpreter chosen is experienced in both the language and dialect required. Next, you must decide whether you prefer a simultaneous or a consecutive interpreter. In simultaneous interpreting, the interpreter will translate the speaking party as they are speaking using special audio equipment. This takes a tremendous amount of concentration on the part of the interpreter, so teams are generally used to ensure that frequent breaks can be taken. Simultaneous interpretation is ideal for a large group where a large amount of information is needed to be conveyed. In consecutive interpretation, the interpreter will interpret entire sentences or ideas after the speaker is finished. Generally, one interpreter can manage these types of meetings without the need for a second interpreter present. Most interpreters have distinct certifications and many years’ experience covering different types of meetings and conventions. When reaching out to the interpreter, ask to review his or her curriculum vitae. Also, you will want to review their client lists and ask to speak with references. Of course, it is always advised to vet an interpreter through a personal phone call so that specific questions can be asked regarding the subject matter. Additionally, a face-to-face meeting with the interpreter before the event will aid in preparation to ensure that everything goes smoothly. Our previously vetted teams of interpreters stand ready to assist you wherever you might need assistance. Reach out to our International team at international@planetdepos.com or 888-433-3767.